Minneapolis (April 11, 2018) – Polaris RZR® Factory Racing continued its unprecedented 2018 season with a dominant performance at the UTV World Championship and the SCORE season opener at the San Felipe 250. Polaris RZR Factory Racing secured victories across eight UTV classes over the weekend. At the UTV World Championship, Polaris RZR Factory Racing picked up class sweeps in both youth races along with wins in the production 1000 (class sweep), 900, and 700/800 short course classes. On the desert racing side, wins were also added to the total in the Production 1000 and Sportsman classes. 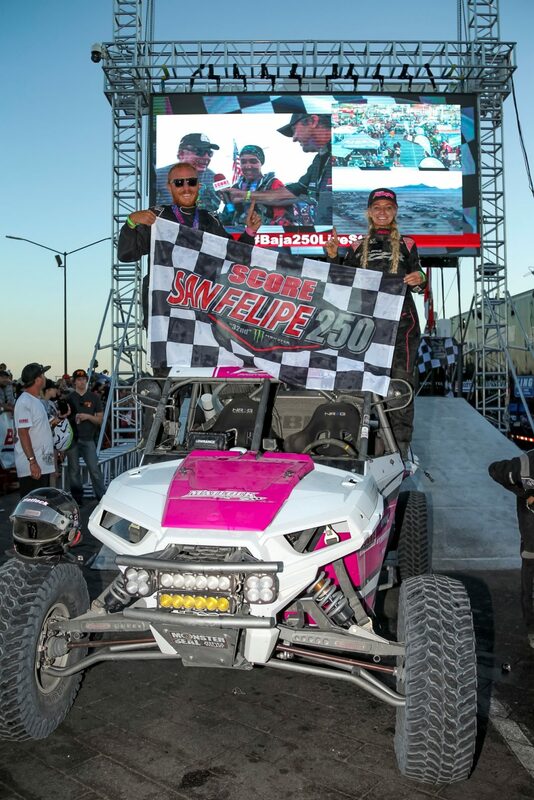 To round out the weekend RZR added two more wins in San Felipe at the SCORE season opener in both the Turbo and Production (class sweep) races. Saturday’s victories continue the Polaris RZR Factory Racing team’s incredible victory streak that includes top podium finishes at every major race to date. This weekend’s 23 podiums and four class sweeps add to the team’s 23 wins and 60 podiums on the young 2018 season. The Polaris RZR Factory Racing team will look to build on its success when it returns to competition at the Silver State 300 on May 6.